I had led my first Voice workshop at the Yorik Studio, Tîrgu-Mureș. 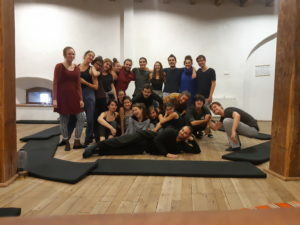 I am grateful to the Studium Prospero Association for the support, to the Yorik Studio for hosting my course and especially to the wonderful, sensitive and brave group for the common research. The photos are available in the Gallery.